My apologies for the late update this week! I spent much of my weekend out in the field catching up with the crews. Hope you enjoy this weeks updates from the field! 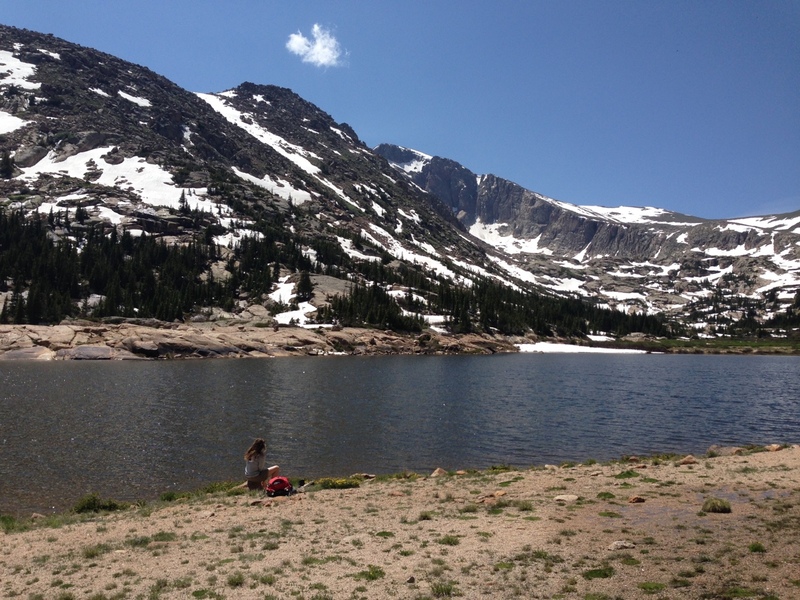 The first half of week 3 brought the Kawuneeche Crew over Trail Ridge Road to Estes Park. 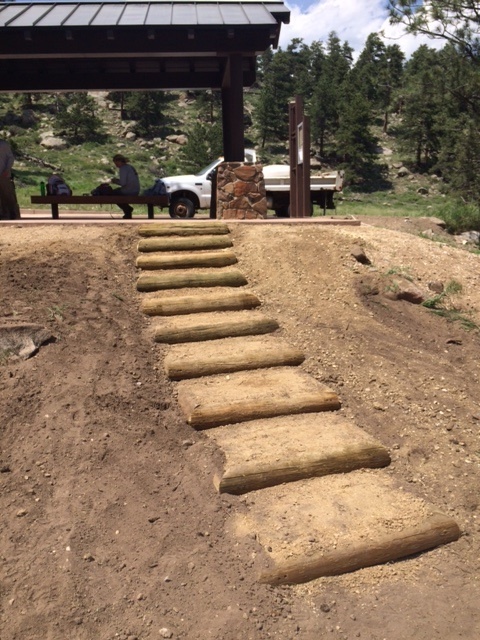 We helped the Projects crew build a set of stairs at a bus shelter on Bear Lake Rd, and cut and paint stairs from lumber for the mess hall at Lake Irene. Moose count for the morning commute from the west side of Trail Ridge: 7! Wildlife jam count made by tourists gawking at elk in the afternoon commute from Estes: 4. 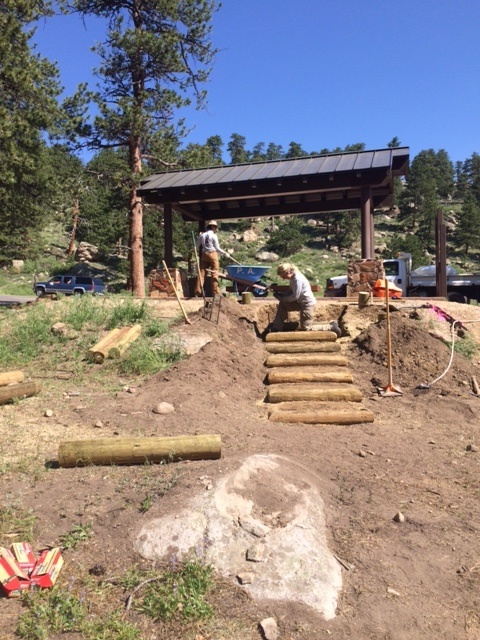 We assembled the logs for the stairs after they were cut by chainsaw, screwing them together, then securing them to each other and to the slope with pieces of 2 foot rebar, then filled them in with dirt. 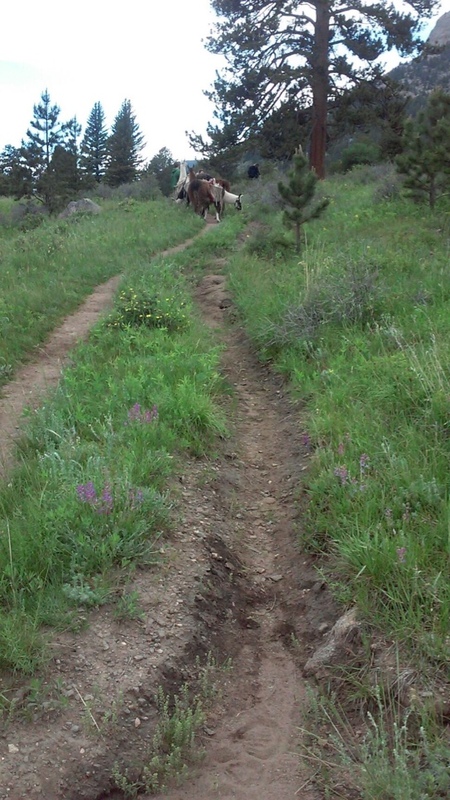 It was a satisfying and much-needed set of steps for this trafficked, eroding hill at the beginning of a trail that connects the bus shelter to the stock trail used by horses and hikers. 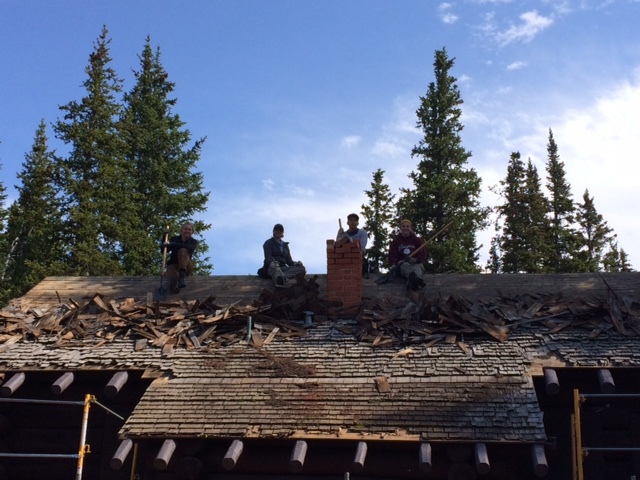 The second half of the week brought the crew to Lake Irene, to begin the roofing rehab process. 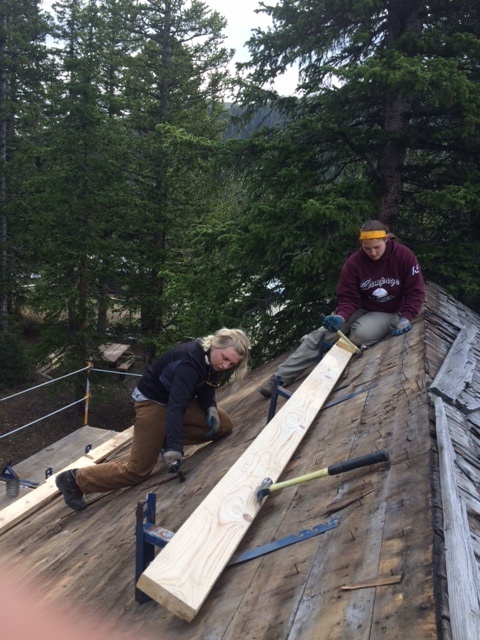 Wednesday was spent removing the cedar shingles with roofing shovels, from the scaffolding and from chicken boards placed 1/3 and 2/3 the way up the roof to reach the top. 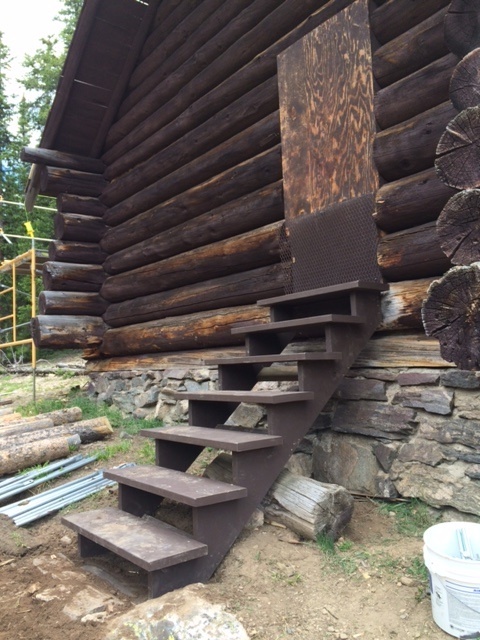 We also installed the set of lumber stairs we had cut on Monday, for the backside of the mess hall. We also started attaching the new cedar shingles on the first side of the roof, using chalk line to mark a straight edge, and nail guns. Then the crew headed back down the mountain for family dinner of pita pizzas, a delicious way to make your own personal pizza because you can stuff the crust AND pile the toppings on top of the pita pocket. Thursday was more de-shingling of side 2 of the roof, which Geoff got to help out with, and adding more layers of shingles to side 1. We celebrated the end of a successful week with a trip over to Winter Park for their weekly free outdoor music concert! 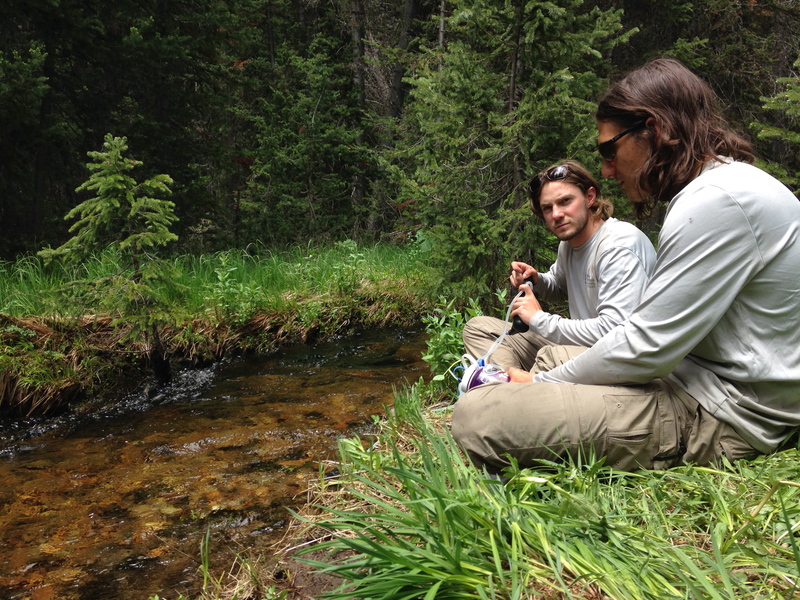 After another week of shoveling, picking, and hauling, the members of the Boulder Crew are lounging in Nederland’s finest coffee shops for some well-deserved rest. Reflecting back on the previous week, we accomplished more than expected. 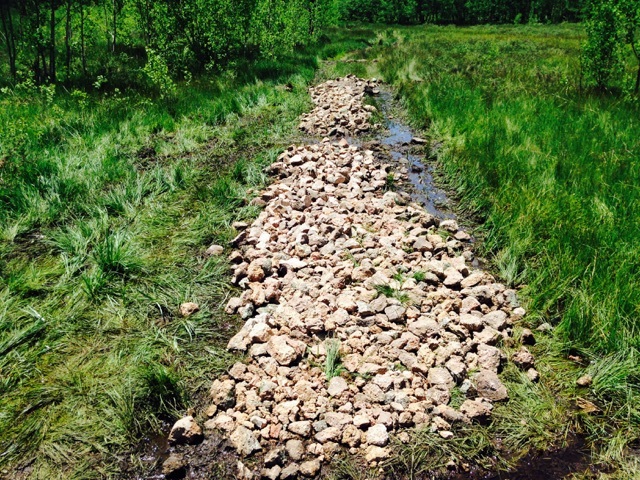 While our main projects include improving drains, we also reset culverts, trimmed trees, cleared trails. 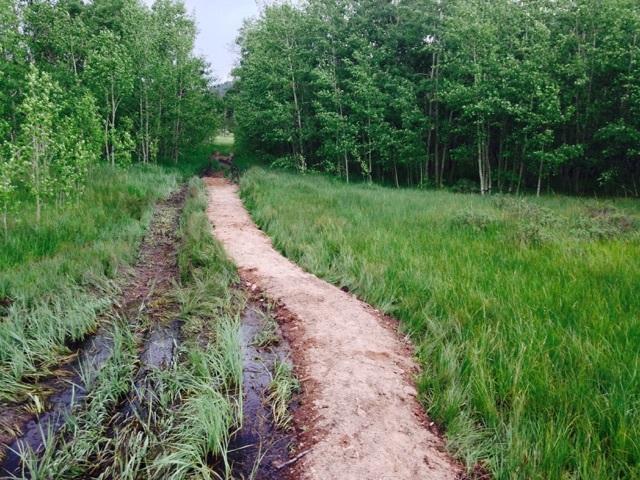 The biggest project we are working on is a 35ft boardwalk, set to span over a series of drains. 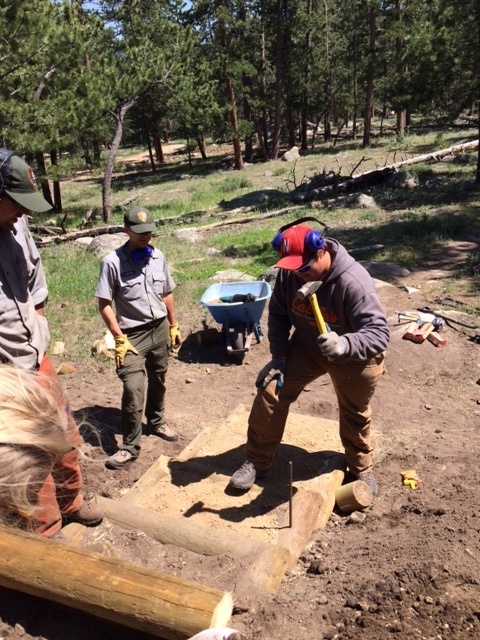 This type of work requires a lot of communication and collaboration, as it’s impossible for one crew member to lift a 2000lb log on their own. 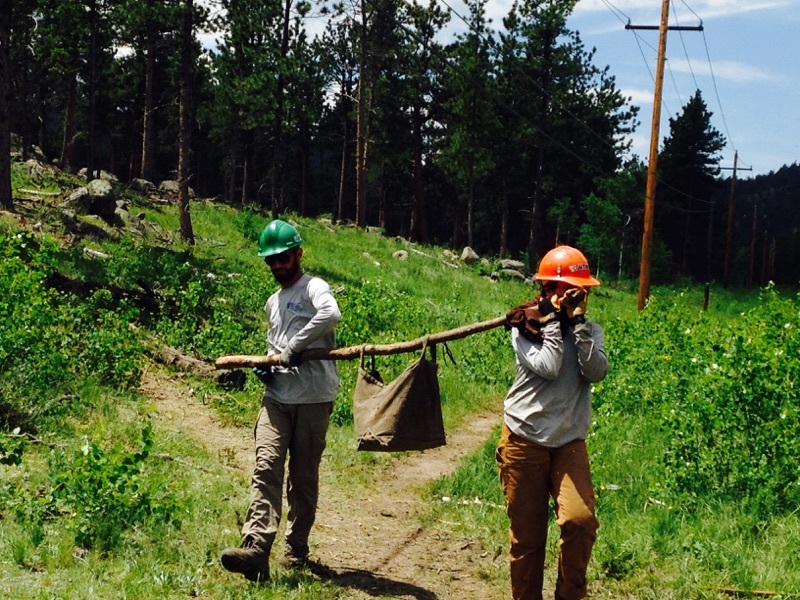 Through this work, we have become stronger as a group, and more prepared for the obstacles that trail work inevitably brings. The Boulder Crew slightly stands out due to our unique living conditions. We currently reside in small campground, right outside of the city of Nederland. The center of our site contains a large, yellow tarp, strung between two trees, to shelter our picnic table from the Colorado elements. We fondly refer to this area as the dining room. The rest of our homely abode has earned names as well. Our living room is the campfire ring, our tents the bedrooms, and the trailer is dutifully our kitchen. After three weeks of living here, we have become quite fond of our open home. It has undoubtedly brought us closer together. Plus, there’s something to be said about sleeping under the stars and waking up to the sound of chirping birds. While the rain can be bothersome and mosquitos the worst of pests, we conquer trails with optimism, knowing we wouldn’t trade our camp for anything else. 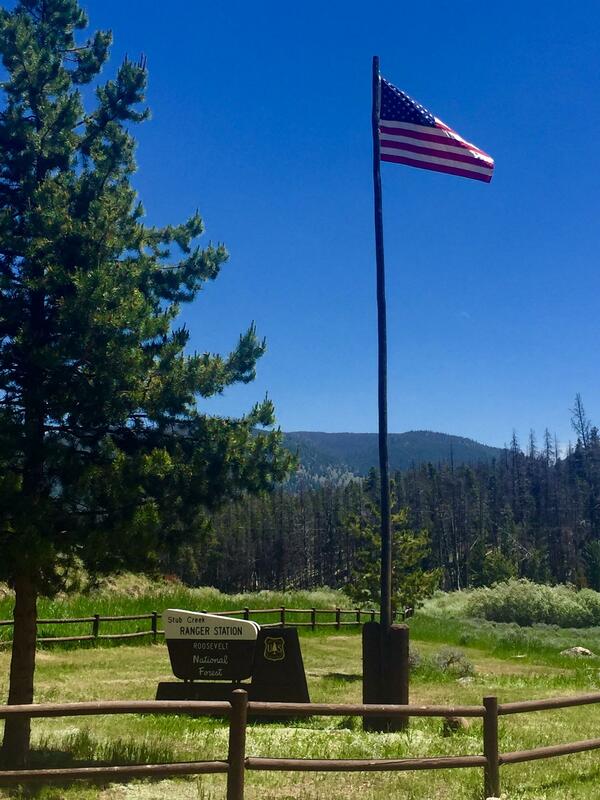 This week the Rawah Crew worked on the Big South Trail, McIntyre trail and assisted the Stub Creek Volunteers with raising the American Flag in front of the Ranger Station. 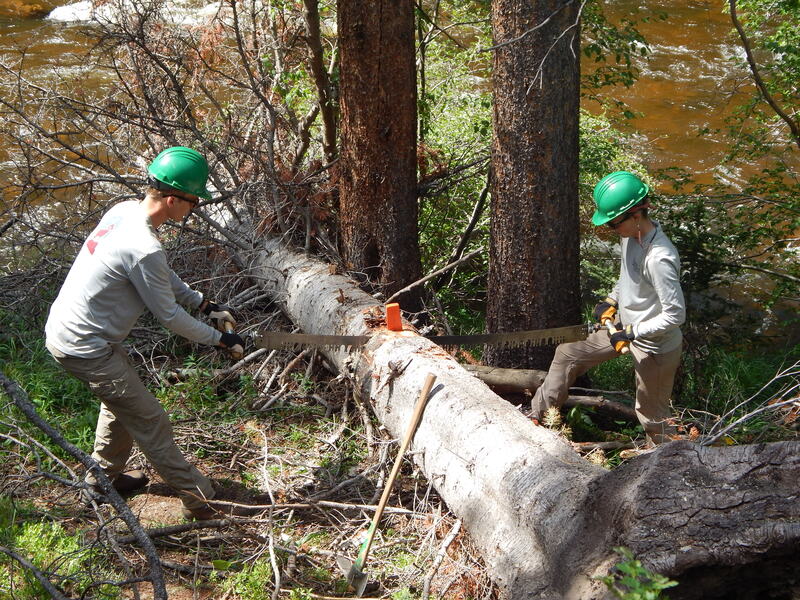 The crew was very excited upon receiving their crosscut saw on Monday and cleared 5 fallen trees off the McIntyre trail, in addition to improving a 50 foot washed out section of trail. 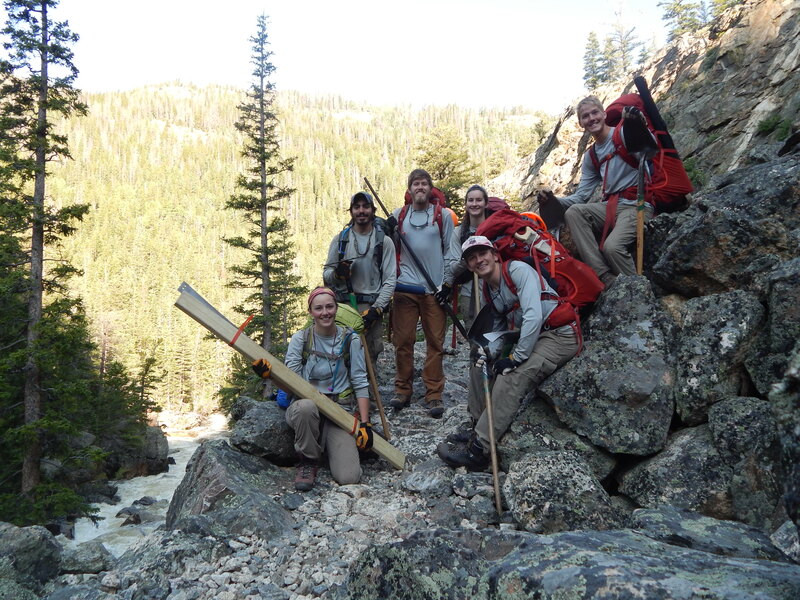 On Tuesday, the Crew headed out on their first backcountry hitch on the Big South trail. 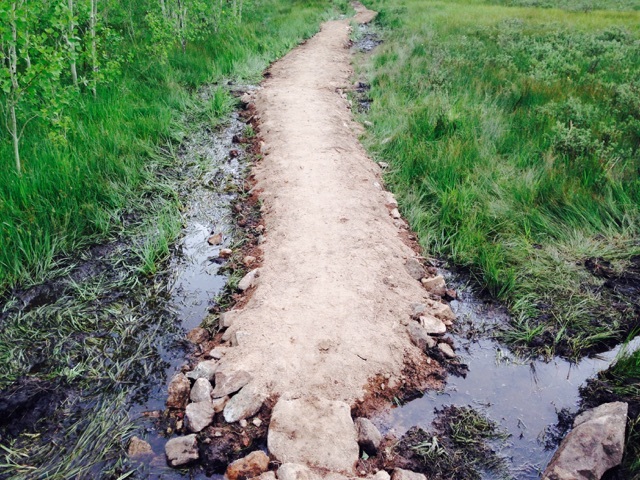 During the two night, three day hitch, 7 miles of trail were maintained. 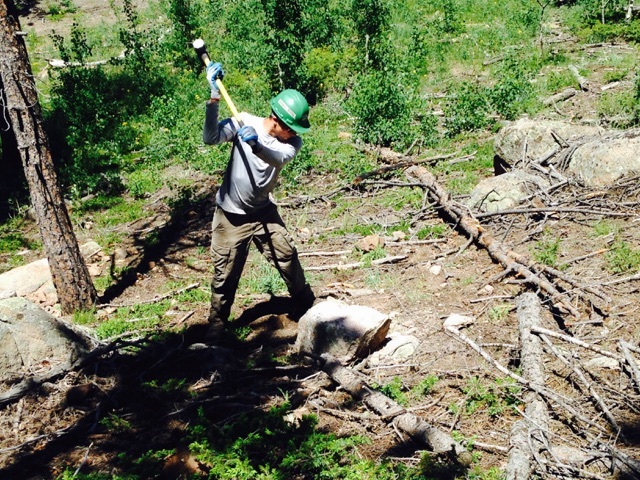 After an exhausting yet satisfying week, the crew repaired over 200 drains, cleared 3 fallen trees and removed 300 feet of berm on the Big South Trail. Early Monday morning we headed out to the Lady Moon trail head directly across the street from the Mt. Margaret trail head we worked on last week and only five minutes or so from our bunk house. There we met Geoff who was to work with us for the day and together we took approximately two steps on the trail before being met with the worst kind of slimy black muck that sucked you in to your ankles. 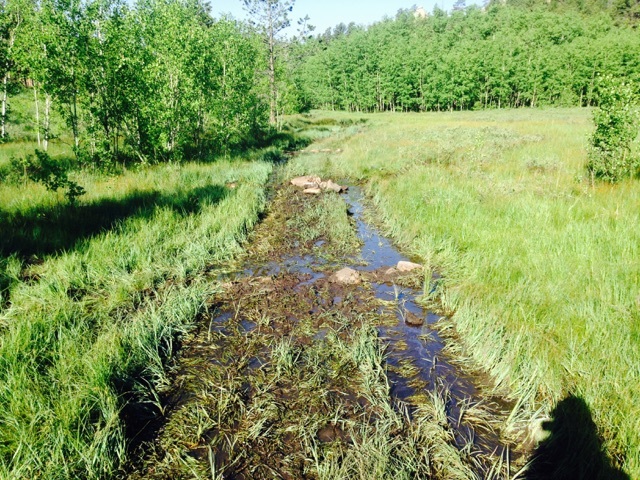 The trail was a wreck for nearly 400 feet with standing water, mud and more mud. As the trail went through cattle range land it clearly had been used by ranchers for vehicle access as evident by the deep wheel wells cutting through the grass and grime. Just to the left of the trail a social trail had been formed on high ground which appeared to be a much nicer route to pass over the wet spots. 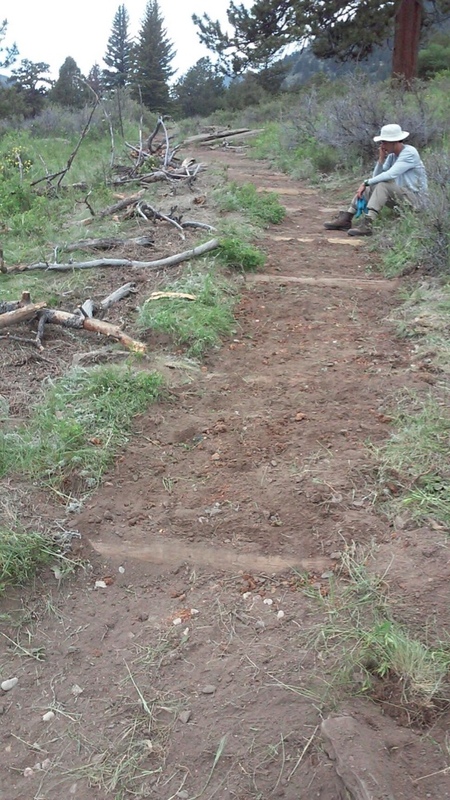 But it was directly under some power lines and was not a designated trail so we had no choice but to try and fix the actual trail. It called for another turnpike, adding to the ones we had already completed at Mt. Margret, but this would be the longest one yet by a long shot. Several of us began putting in drains to try and clear out some of the standing water while the others collected baseball sized rocks to start the turnpike. When all the smaller rocks had been exhausted from the slopes we began smashing larger rocks against bedrock to make our own. It was slow, tedious, and draining work. Come noon Monday Geoff actually ended up going to the Ace Hardware in Red Feather to buy us a sledge hammer as we were not supplied one by the forest service. After that the work went quite a bit farther and by the end of the day we had about 10 feet of turnpike completed and more than double that graveled. The rest of the week proceeded in much the same way with Tuesday being devoted exclusively to collecting rocks, smashing rocks, and moving them on to the turnpike. We didn’t leave sight of the parking lot the entire week and the work was highly repetitive and strenuous and I had my doubts that we would be able to finish the entire turnpike but by Thursday afternoon 360 feet of dry trail rose from the standing water. It was a lot of work and very tiring at times but what we did was most certainly a feat to be proud of. 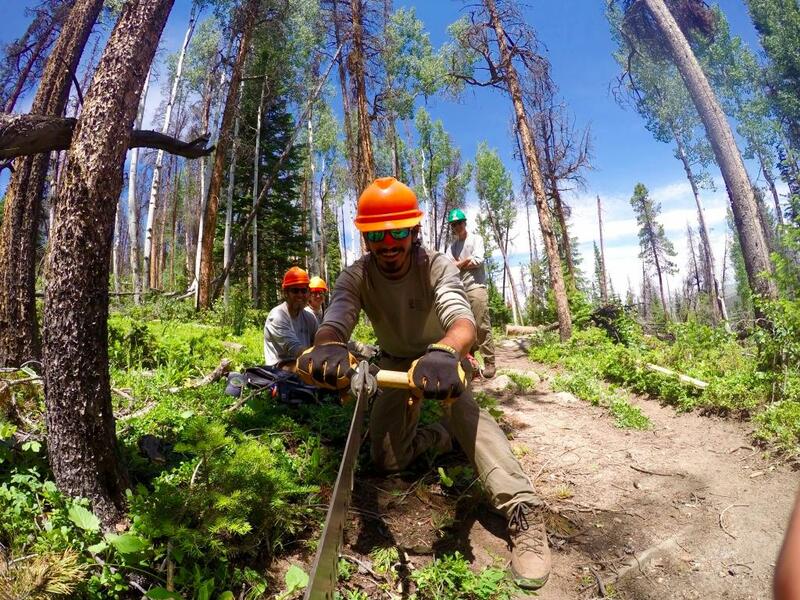 The third week out Shadow Mountain Crew was at it again, cross cutting the remainder of the unmaintained section of the CDT. We were once again boated across Lake Granby to McDonald Cove to attack the dead trees on the western side of the Knight Ridge Trail. After finishing the job earlier than we expected on the second day, we took a rinse in the lake and watched as two hikers exited the (now) maintained trail. Following our cold swim, we devoured a celebratory dinner provided by crew member, Amy. 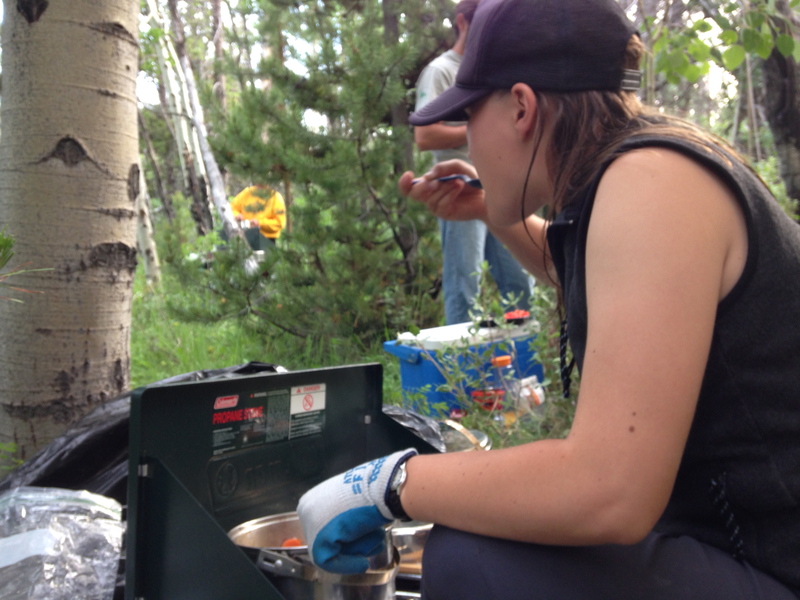 Warm and worcestershire flavored bowls of gumbo were cooked over camp stoves, the perfect meal for heating our sore sawing muscles. After coming to decisions that our goals for Knight Ridge were fully accomplished, we discussed further plans to head up the Roaring Fork trail. We hiked out the next morning of McDonald Cove to the Roaring Fork trail head, where we quickly packed our packs for one night in the backcountry. Saturday was spent with our Manager, Geoff. 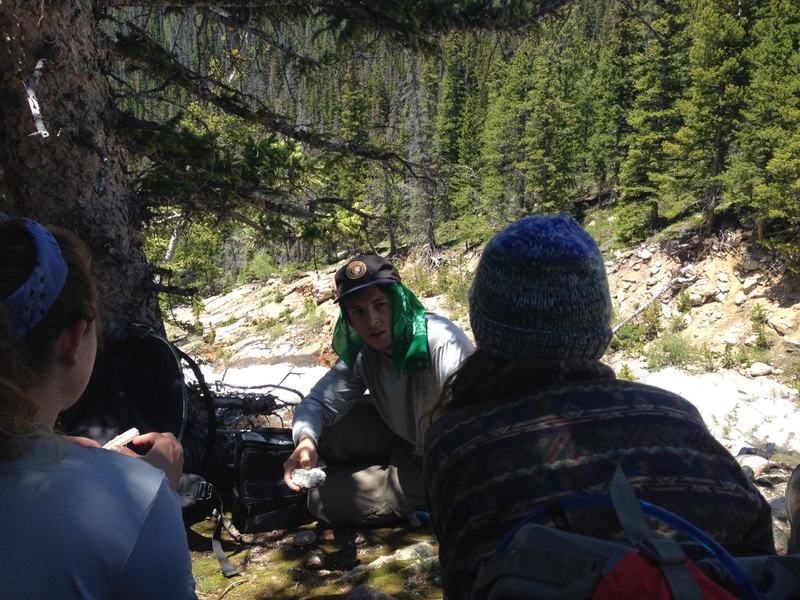 While clearing trail up to Watanga Lake we ran into a few blown out bridges, where we needed to collaborate together to get across the river somehow, to continue work. This week had been crammed with different projects to complete, however we were able to accomplish much more than expected and we all felt great about it! 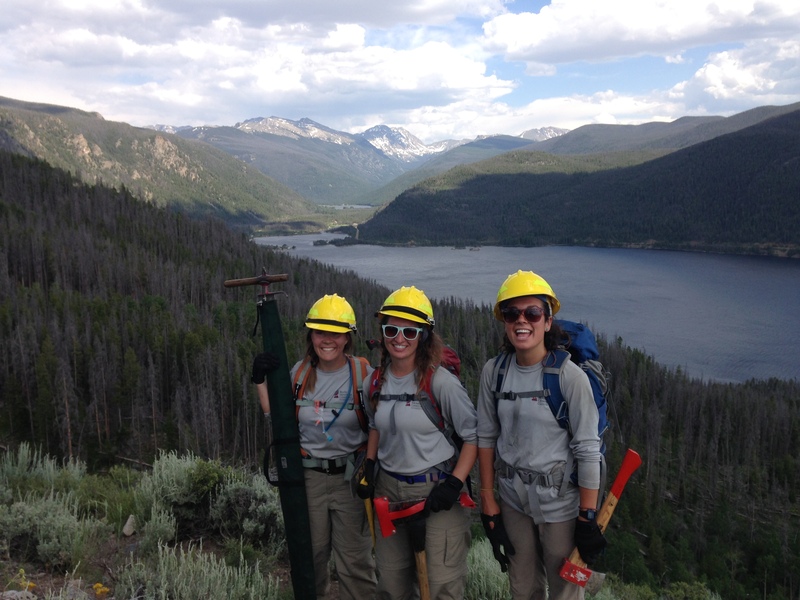 We are now ready to enjoy some time off and prepare for our Fourth of July backcountry patrols! Thanks for reading, this is Shadow! 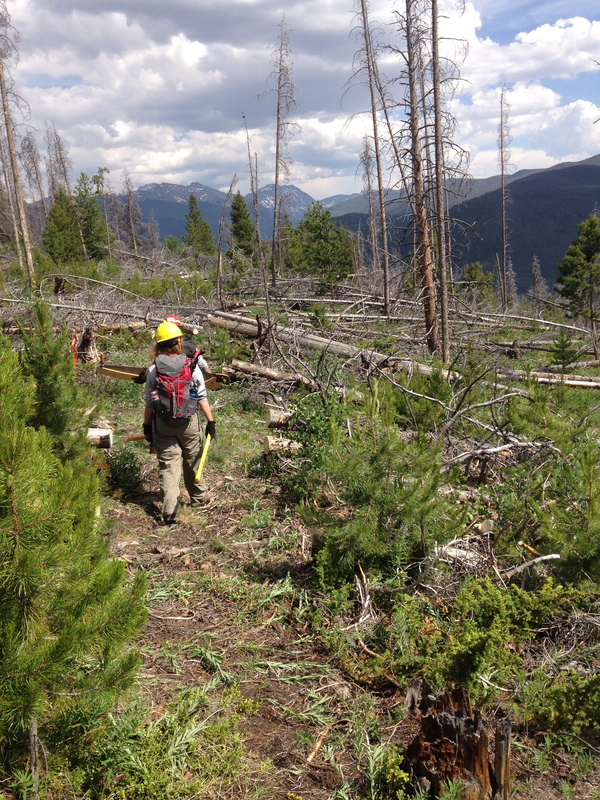 This week, Andrea, was the Estes Crew assistant leader of the week, where she was in charge of the radio, driving the work truck to the trailheads, and helping to cut many of the trees with the crosscut. 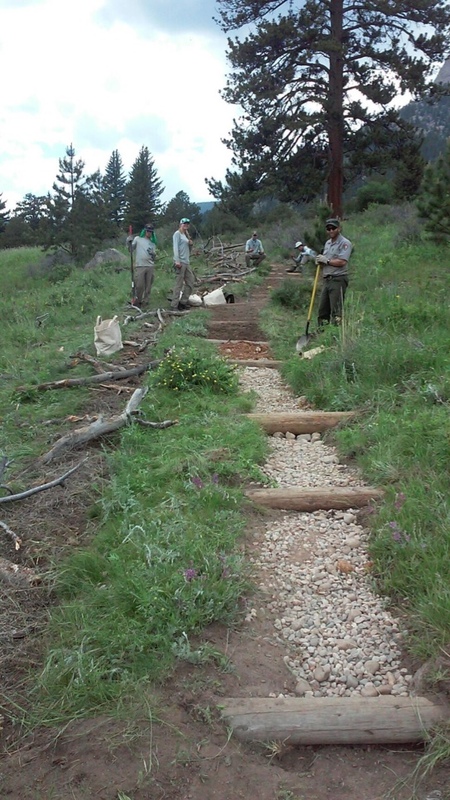 Monday and Tuesday of this week we maintained the Lawn lake lake trail, a 14 mile trail. 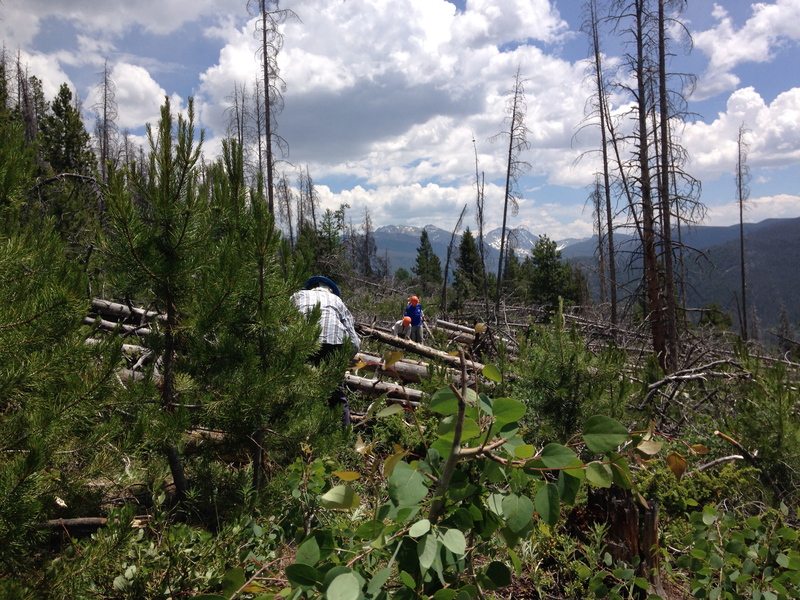 Monday we cleared trees and dug drains to Lawn lake, then hiking out in the afternoon. Tuesday we hiked up 6 miles to the lawn lake junction where we begun clearing trees and drains on the Black Canyon Trail, to Lumpy Ridge. We hiked 25 miles those first two days. Wednesday and Thursday we were back at Cow Creek Trail Head working with the pack Lamas retreading the trail and putting in Log checks. 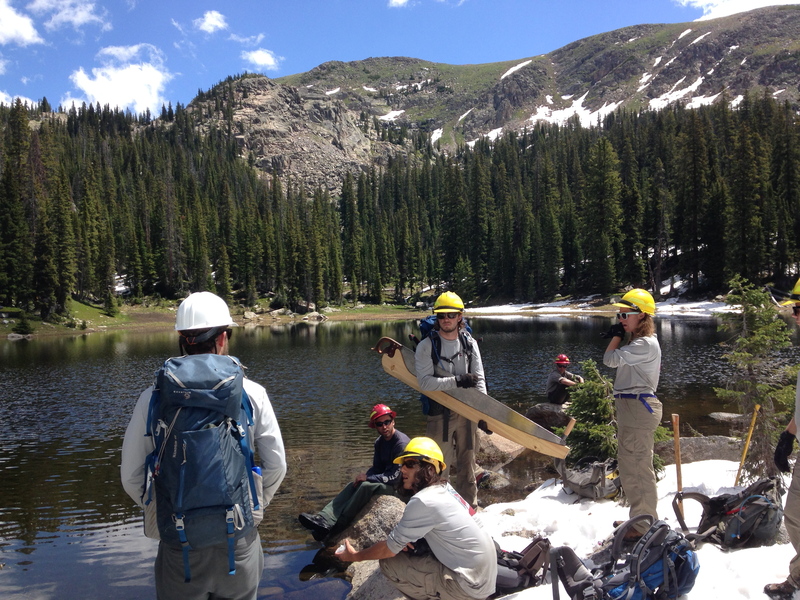 The crew also stayed very busy this weekend as well, going on hikes, fishing, tubing in Moraine Park, and Jeremy even took a class through the Conservancy, Edible and Medicinal Plants of the Rocky Mountains.